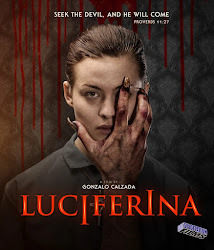 Luciferina, written & directed Argentinian filmmaker Gonzalo Calzada, begins with Natalia – a nineteen year old virgin who has hiding herself away from her family at a catholic school, working with the nuns there. Natalie makes her way home after hearing the news that her father is on his deathbed. Her visit with her father and her run-in with her sister, Angela, suggest that the family is hiding some dark secret that even Natalia is unaware of. Her relationship with her sister is strained as Angela holds resentment toward Natalia for seemingly abandoning her family - leaving Angela to care for their parents. Their mother had suffered with Alzheimer's for years before passing, and now their father has fallen victim to some sort of accident. To reconnect, the two sisters, accompanied by Angela's boyfriend and three friends, plan a trip deep into the Argentinian wilderness. 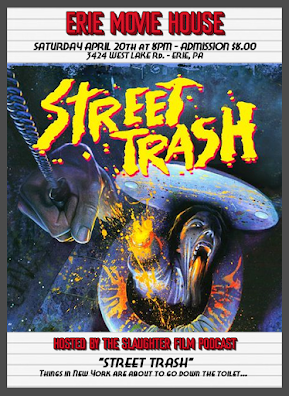 But unlike the typical tropes of horror, this group of young people aren't going to cut loose and party. 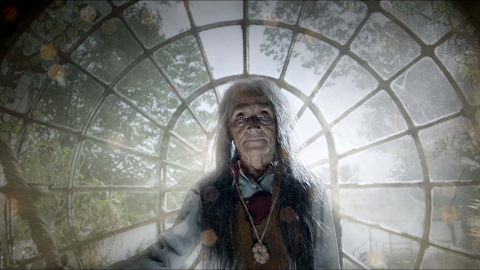 Instead they are headed to meet a shaman who will lead them in a ritual using Ayahuasca – a legendary plant that is said to have healing properties. As it turns out, each of the young people in this party suffer from some sort of flaw that they each hope the ritual will correct (mind, body and spirit). And through this we learn that Natalie's affliction comes in the form of...sight, sort of. She can see a glow that surrounds people - showing her whether or not they are good, bad or evil. 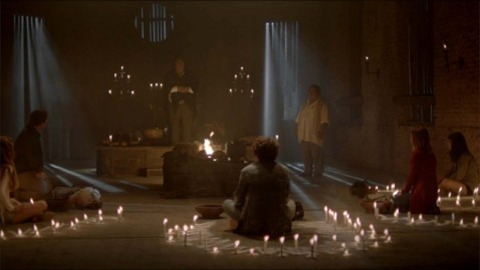 During the ritual, something goes terrible wrong, and when Natalia wakes up from her trippy Satanic fever dream, she discovers that her friends have been killed. For reasons that I don't want to spoil, the Devil himself has come after Natalia to settle a score that was tallied with her birth. Now Natalia has to face the ultimate evil with the only weapon at her disposal being her virgin body. I think this HAS to be a first. The Ayahuasca seems to heighten her extra sensory powers, turning her body into a weapon. But I should clarify that this is NOT like The Fifth Element where the hero's body becomes a literal weapon. No, instead Natalia becomes free from her sexual repression instilled in her by her religion and time spent with the nuns. Her innocence and purity are the force that vanquishes the evil, proving yet again that love is greatest. Luciferina is wonderfully acted with beautiful and atmospheric cinematography. 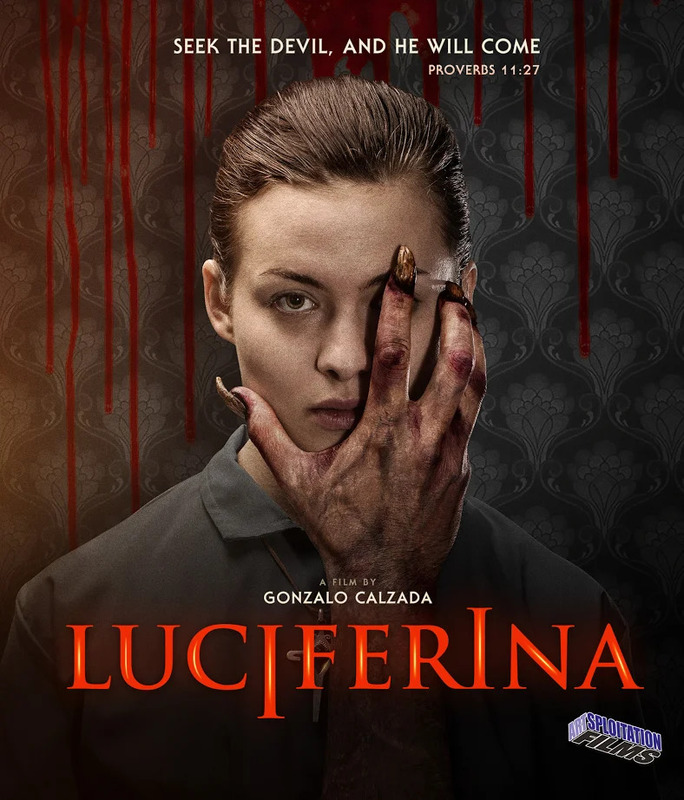 I really enjoyed how Luciferina built toward Natalia's confrontation with evil slowly and how it subverted expectations commonly found in similar fair. It is a fresh and very welcome take on the tired possession sub-genre. So with that said, why did I begin this review with the classic, Suspiria? Much like Suspiria, Gonzalo Calzada's film has the potential to live on as a classic. Of course only time will tell. But what Luficerian also shares with Suspiria is how it's world will grow through the addition of it's sequels. 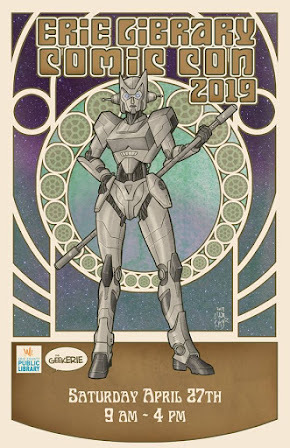 Currently, Calzada is developing two follow up films, "Immaculate" and “Gothic” that seem to be connected in a way that may be less chronological than your average sequel, but connected none the less. He seems be to building a trilogy (“The Trinity of Virgins”) a-kin to Argento's “Three Mothers Trilogy” ("Suspiria", "Inferno", & "Mother of Tears") which explains the Suspiria connection that I keep alluding to. Like the “Three Mothers Trilogy”, “The Trinity of Virgins” excites me with the very idea that this world and it's lore will be built upon. And with it, the following virgins will have new and different personalities and places that they derive their power from to battle their own personal evils. With the promise of more that will expand upon that, I say; “Yes please!”. 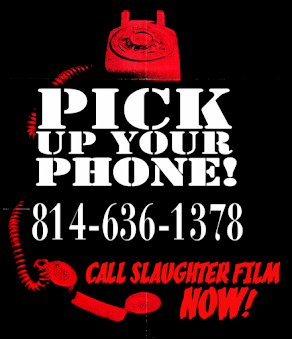 Luciferina is available now on DVD & BLU-RAY, and VOD in early December from the good people at Artsploitation Films. 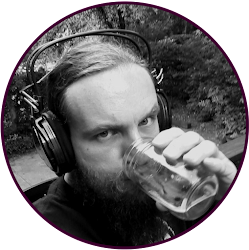 For more about filmmaker Gonzalo Calzada and “The Trinity of Virgins”, check out this Screen Anarchy interview where he discusses his films and the problem with independent filmmaking that competes with Hollywood.